In doing so, they are dispelling the notion that the newage technology is all about driverless cars, futuristic robots and supercomputers such as the Go (that beat human players in a complex board game). For instance, Tencent Holdings Ltd, known for its killer app WeChat and video game apps, is deploying AI to recommend products and services to users of its mobile wallet WeChat Pay. Such users win virtual red packets containing real cash for offline purchases, which can be redeemed later in online shopping at partner sites. According to Ren Yuxin, Tencent's chief operating officer, the company is also empowering partner merchants to personalize their virtual storefronts for individual visitors. The idea is to offer real-time, tailor-made product recommendations based on a variety of factors like age, gender, location and purchasing power. Tencent has also teamed up with China's second-largest online site JD.com, offering merchants customized content marketing opportunities via WeChat's Moments, an information-sharing function, banking on algorithms that analyze a person's interests, location and purchasing power. Alibaba Group Holding Ltd, the world's largest e-commerce site by transaction volume, has embedded AI into its digital infrastructure, aiming to provide more precise search results and relevant product recommendations to users, and thus drive sales. The tech giant has developed a so-called "E-commerce Brain" to understand people's needs and deliver relevant holistic recommendations. By adopting real-time online data to build models to predict what consumers want, the system generates recommendations for not only products they have shown an interest in but related products and other information. "Alibaba's Brain can home in on a consumer's predilections for certain products, price ranges, brands, product specifications and other key parameters," said Zhao Binqiang, an algorithm expert at Alibaba who now leads the firm's digital marketing unit. The software works in tandem with Alibaba's vast social media networks. Algorithms allow the system to determine correlations between content consumption and purchasing behavior. For example, if a mother has purchased diapers via Alibaba's Taobao site, she is likely to receive maternity and child-care related content from Weitao, a micro-blogging service for brands, or from Taobao Headlines, a sister newsfeed. Via such online destinations, she might receive sponsored content on products such as infant formula or supplements. 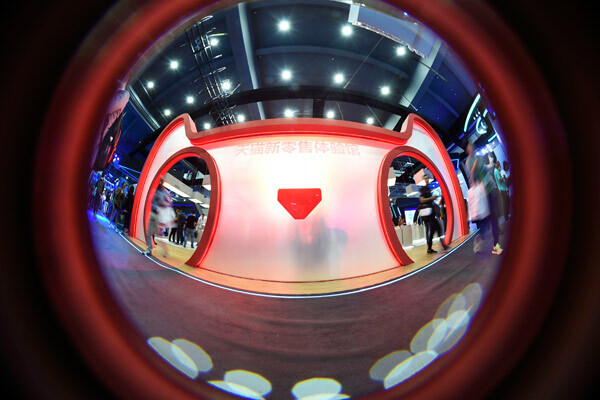 Alibaba also introduced an AI-powered electronic assistant or chatbot called Ali Xiaomi (Ali Assistant) to handle up to 95 percent of general inquiries ranging from refunds to complaints. According to Alibaba, the chatbot, when provided with a text or voice description or even a photo, can even help users find products, returning a list of recommendations that they could filter by brand, color and other characteristics. A Goldman Sachs report earlier this year said, "Big data, cloud services and the coming of age of machine learning technology should continue to deliver a personalized shopping experience to consumers and targeted marketing solutions to brands and merchants."